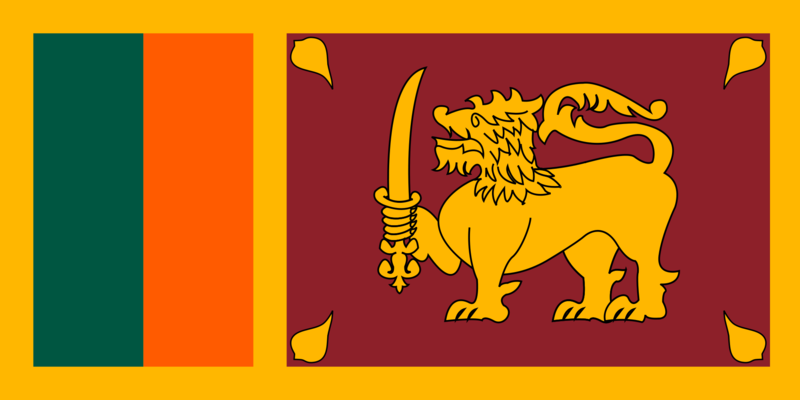 Sri Lanka known as Ceylon before independence in 1948, is strategically located in the southern coast of India between Arabia and East Asia. Naturally rich exotic beaches, picturesque waterfalls, tropical rainy forests, central hills and moreover the precious climatic difference bloom the natural beauty of this small island to be a world famous tourist destination. This isle is also known to be the pearl of the orient or pearl of the Indian ocean and in the ancient times as the Taprobane or Serendib. Spectacular hospitality extended from the hearts of the people of Sri Lanka would no doubt be a grip of a rich cultural heritage spanning over 2500 years. Since the latter half of 2009 Sri Lanka has become the safest place on the earth to travel after completely defeating the 30 year brutal terrorism under the true & great leadership of His Excellency the President Mahina Rajapaksa Year 2011 has been declared as "VISIT OF THE YEAR" for SRI LANKA. New York Times in their recent survey revealed that Sri Lanka is the best destination for travel among thirty one destinations. The National Geographic has placed Sri Lanka as the second of he world's 20 best for travel. The mountainous wet zone in the southwestern part records an average annual rainfall of 2500 mm and the dry zone in the northeast and northern parts receive an average rainfall of 1200 mm and 1900 mm respectively. Sri Lanka maintains a high bio-diversity in the country with great care. Diversity expressed in terms of strategic location specially the unique physical environment of naturally rich assets has made Sri Lanka one of the most beautiful countries in the world. Wildlife: Sri Lanka has reported to be the first country to launch a wild sanctuary. National parks and sanctuaries are established in different parts of the island. Yala National park in the southeast is an important tourist attraction for watching heard of elephants, peacocks and dears. Wilpattu National park in the northeast provides a great access to the inhabitants like many water birds, stokes, pelicans, ibis and spoonbills to protect themselves in a safe environment for more than a generation to come. Pinnawala Elephant Orphanage is a sanctuary for rescued and injured elephants and is well popular among the tourists for watching over 80 elephants including small babies. Cultural Heritage: Sigiriya, Polonnaruwa, Anuradhapura, Kandy Sacred City, Galle City & Galle Port and Dambulla Cave Temple are the five ancient cities of Sri Lanka listed in the world heritage list. These places are of great historical value for visitors to enjoy themselves and make their dreams come true. Kandy is a sacred city in the central hills which symbolizes the world famous Buddhist procession "Esala Perahara" which carries the sacred Tooth Relic of the Lord Buddha annually in the month of August. This beautiful pageant is attended by a large gathering with an average of five hundred thousand people in the final day. One can enjoy a range of various items like fire-dances, whip-dances, Kandian dances and various other cultural dances with admirably decorated elephants showing the pride of the history of the kingdom of Kandy. Kandy which is one of the most beautiful cities in the world is synonymous to the name of the world renowned Ceylon Tea. As you know the first tea plant was planted commercially in 1867 at Loolecondera estate by a Scotsman named James Taylor and there onwards tea industry has flourished to a great success. Among the Rubber and Coconut plantations Tea has played a major role in export earning to the country until the recent past. Tea plantations has made a tremendous improvement with the right attitudes of the present regime of Sri Lanka. Anuradhapura: in the North Central Province is the Sri Lanka's first capital founded about the 4th century BC. which is a place of worship for all Buddhists in the country especially because of the blessings of the sacred Sri Maha Bodhi Tree taken from the original Bo-Tree in India. The most historically valued Ruwanweli Saya which was constructed in the 2nd Century B.C. by Emperor Dutugamuni is considered to be the greatest out of the other gigantic sthupas in the eight Buddhist sites in Anuradhapura. Ruwanweli Saya Sthupa is 100 metres in height, 77 metres in width and 300 ft in diameter. Among these remarkably worshipped places are the huge irrigational tanks which display a magnificent piece of work of the ancient Kings of Sri Lanka when Anuradhapura was the National Capital of Sri Lanka for over 1000 years since the 3rd Century BC. Samadhi Statue is a great piece of Sinhalese Sculptural Art showing a deep meditation of Lord Buddha. These monuments including the entire Buddhist places in Sri Lanka represent the culture and civilization of the ancestors in a very prominent way with association of Buddhist culture during the time our ancient kings who ruled the country. There is no evidence to see such a valuable, historical, artistic and culturally developed Statue even in India (well known as Baratha - the country of Birth of Lord Buddha). Samadhi Statue is situated in the Mahameuna Park of Abhayagiri Complex in Anuradhapura the first capital of Sri Lanka in 4th century BC. Sigiriya is concerned as the eighth wonder of the world. The 200 meter rock surrounding a complex with water gardens makes a beautiful scenery. This huge rock known as the Lion Mountain built in 5th Century has world famous frescoes. King Kashyapa ruled his Kingdom from the Fortress on top of the Rock for about 18 years. Architecture and Gardening is quite impressive and Hydraulic Technology in water supply has a magical performance which is unique to the 5th Century is an unimaginable even at this stage of modern technology.